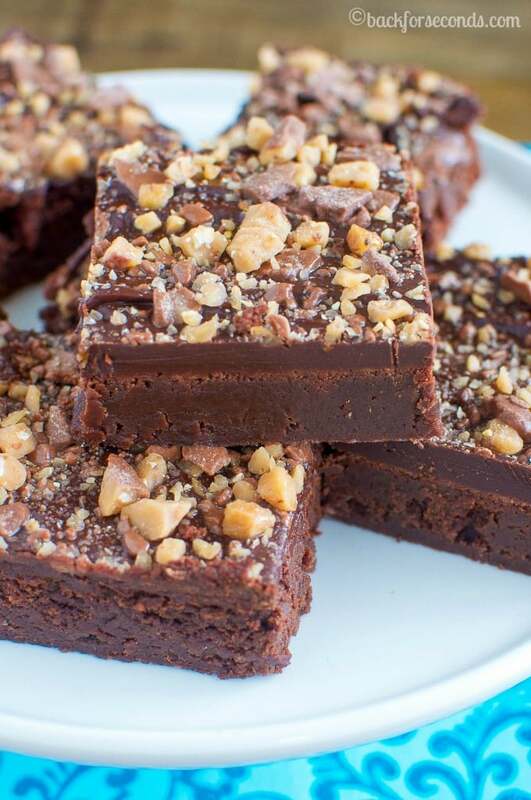 Toffee Fudge Brownies – an easy dessert that can’t be beat! 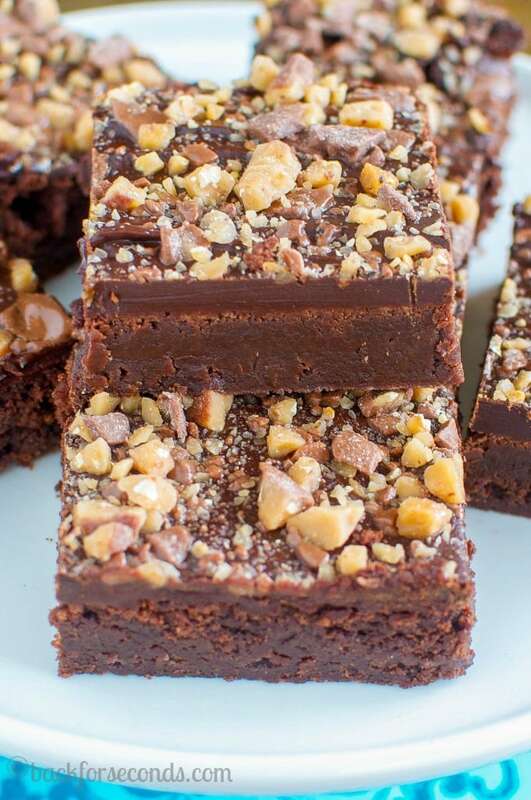 The best homemade brownies, topped with rich chocolate ganache and lots of Heath bar pieces! It’s no secret that I’m a teensy bit obsessed with brownies. 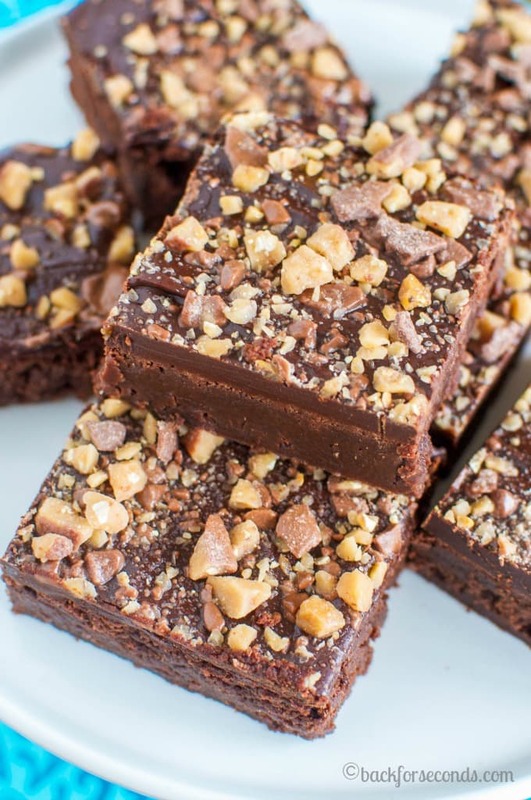 It’s hard to turn down a rich, fudgy homemade brownie…throw in some chocolate ganache and Heath candy bar pieces, and forget it. Resistance is futile! Don’t you just love the combination of toffee and chocolate? It’s one of my favorite flavor combos. Like in these Double Chocolate Heath Bars and Mocha Toffee Fudge Cupcakes. Oh! and these Soft and Chewy Peanut Butter Toffee Cookies. YUM! If you love chocolate, or toffee, or brownies, or basically dessert in general – you are going to love these! Enjoy! 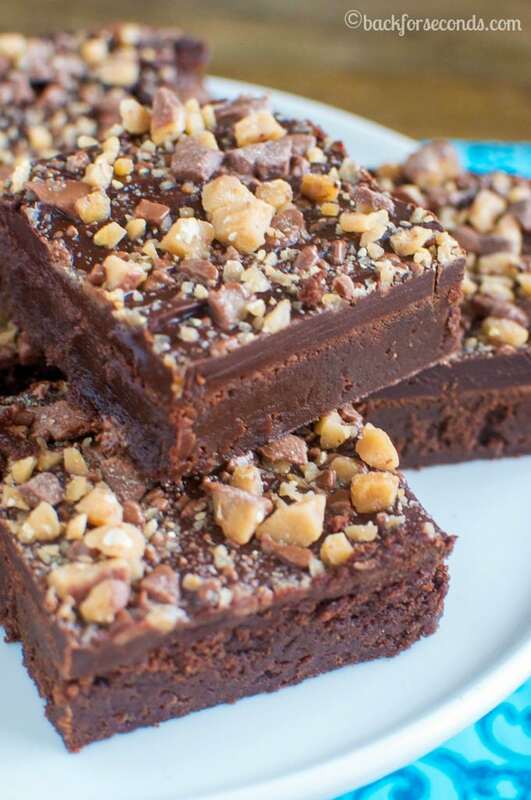 Mmmm.. Toffee fudge brownies… Yum! Oh my gosh, these looks so delicious. I want to reach through my computer screen right now and have one of these sweet things.